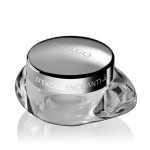 Thalgo Ultimate Time Solution offers exceptional regenerating power, the ultimate sensorial experience and active marine efficacy for exceptional anti-ageing results. Thalgo Ultimate Time Solution Serum is the perfect product for serum fans looking for the ultimate in anti-ageing skincare to replump the skin in an instant and reveal the youthful beauty of their skin. 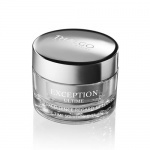 Thalgo Ultimate Time Solution Eye & Lip Cream is for those looking for the ultimate eye and lip cream, to banish signs of fatigue, redefine the lip contours and reawaken youthful eyes.